The number of CIA drone strikes have plummeted to a low single digit so far in 2016, President Barack Obama’s last full year in office, reports The Washington Post (WaPo), citing unnamed current and former U.S. officials. 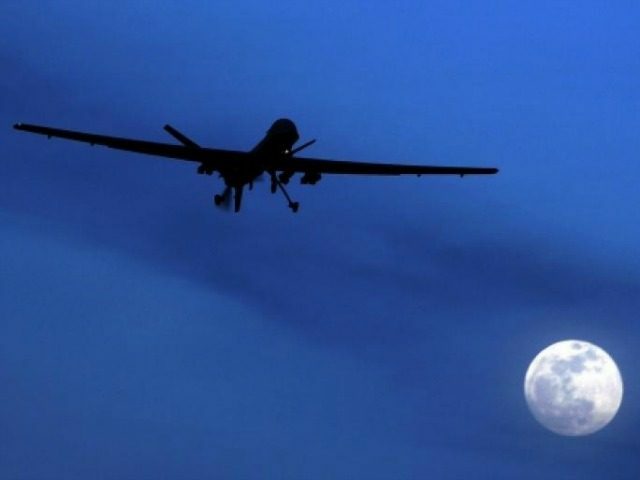 U.S. officials attributed the dramatic drop in the number of drone strikes to a number of factors ,“including the staggering depletion of al-Qaeda’s ranks in Pakistan, where in 2010 the agency launched 118 attacks,” notes WaPo. In contrast, the CIA has launched only two missiles in Pakistan from unmanned aircraft so far this year. The decline also has been driven by White House decisions to curtail the CIA’s lethal role in Yemen and restrict it from even flying armed drones over Syria — instead handing the unambiguous lead for such operations to the U.S. military’s elite Joint Special Operations Command (JSOC). The sharp drop in CIA strikes comes as the White House is preparing to release data about the drone program for the first time, including the total number of strikes taken while Obama has been in office, as well as estimates of the number of militants and civilians killed. The administration also is expected to issue rules requiring periodic updates of those numbers. CIA and White House officials declined to comment, acknowledges the outlet. Nevertheless, anonymous U.S. officials reportedly revealed that the majority (four) of the CIA drone strikes this year have taken place in Yemen, the only country where both the CIA and the military are operating armed unmanned aerial vehicles (UAVs). In an unprecedented move, the U.S. military began to publicly report its drone strikes on al-Qaeda targets in Yemen this year. It is “a step that the Pentagon had refused to take in previous years largely out of concern that identifying its own operations but remaining silent on others would indirectly expose those carried out by the CIA,” notes WaPo. The Yemen-based al-Qaeda in the Arabian Peninsula (AQAP), long considered by the United States government to be the most dangerous and potent branch of the jihadist group, has expanded its reach to unprecedented levels and quadrupled its manpower to 4,000 jihadists last year, according to the U.S. Department of State. In its latest release posted on June 3, the Pentagon conceded that it was the ninth drone attack on suspected al-Qaeda jihadists in Yemen. Moreover, the release also revealed details about a series of “previously unannounced counterterrorism strikes” going back to February. The CIA, meanwhile, has not made any of its drone strikes public. Earlier this month, The Wall Street Journal (WSJ) reported that Obama’s Department of Defense is expected to intensify its already-heavy reliance on U.S. special operations forces as part of an effort to “restructure” the manner in which America fights its war against Islamic jihadists and other terrorists. The Obama administration, with bipartisan assistance in Congress, has gutted the United States military, which has led to an increasingly deeper reliance on special operations forces and drones, among other military technologies. “U.S. officials emphasized that the CIA has not been ordered to disarm its fleet of drones, and that its aircraft remain deeply involved in counterterrorism surveillance missions in Yemen and Syria even when they are not unleashing munitions,” reports The Washington Post. “Still, the changes appear to mark a significant turning point for an agency that was fundamentally transformed after the attacks of Sept. 11, 2001, from a conventional intelligence-gathering service to a paramilitary force,” it adds.